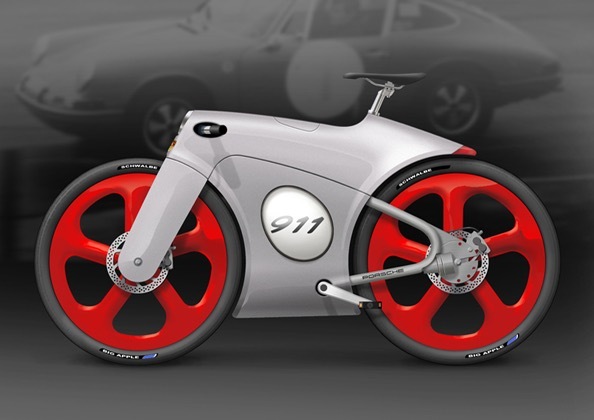 Bicycle concept inspired by the classic lines of the famous Porsche 911. 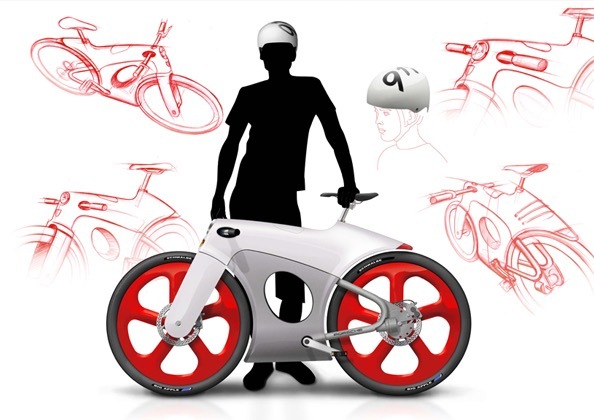 From the integrated headlight, trough the slightly curved top tube, to the impressive rear wheel fender ending in the tail light. 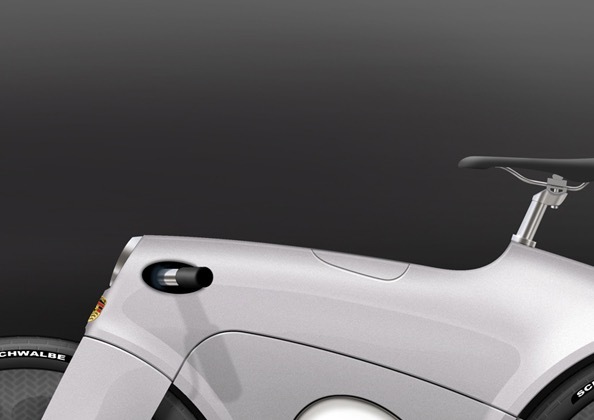 It all, undeniable, breathes the sporty and powerful impression of the Porsche 911 bodywork. 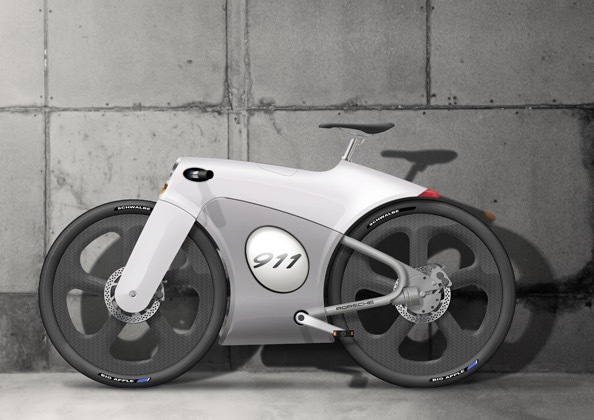 The single piece alloy bodywork and front fork are manufactured using investment casting with a master produced by rapid prototyping. 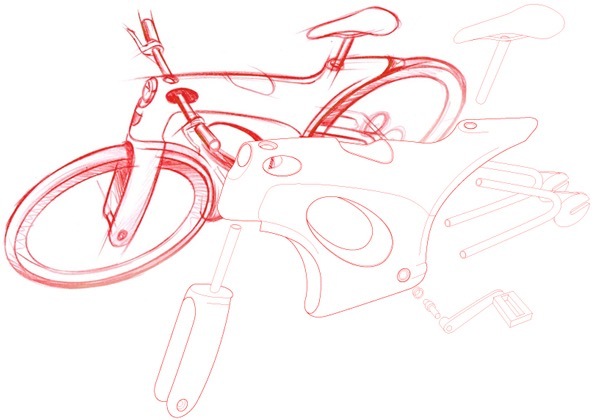 The benefits are a complicated shape (single piece) with excellent surface finish and integrated ultra thin ribs and all necessary bearing shells.